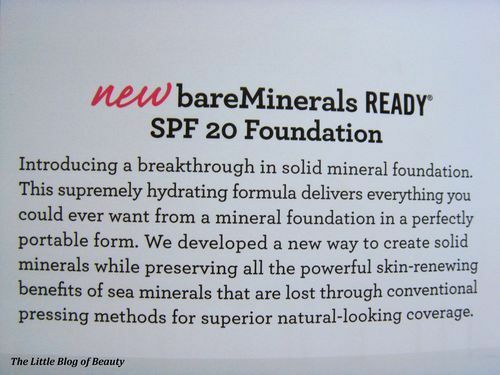 A few weeks ago I applied to Debenhams Beauty Club to be part of a VIP review panel for bareMinerals new Ready SPF 20 foundation. 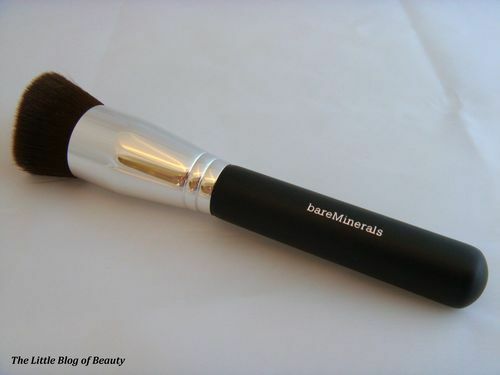 I was lucky enough to be selected and was sent the foundation and also bareMinerals new Precision Face Brush. Unfortunately it took a while for this to reach me and arrived while I was away for a few days so I have not really been able to test this out yet but I wanted to do a post to at least show you the products as both the foundation and brush are being released on 1st March. I will post an update after I have been able to test this out for a while. 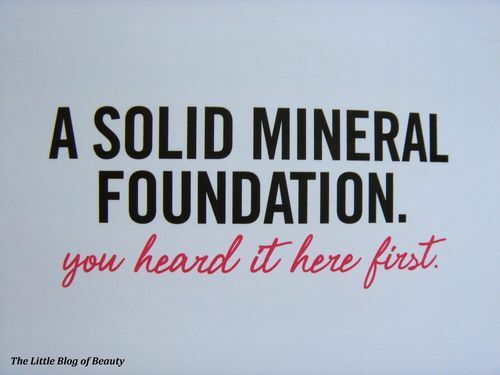 I received a lovely little booklet with this introducing the foundation so I will use this to help me introduce the product to you my lovely readers. 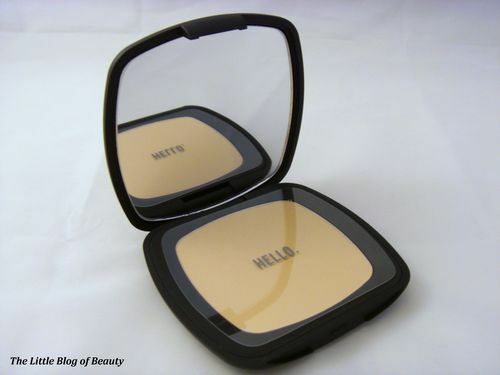 Makeup that greets you, love it! This features a time-release hydration system that is said to deliver a 108% increase in skin hydration (based on an independent 12 hour clinical study). 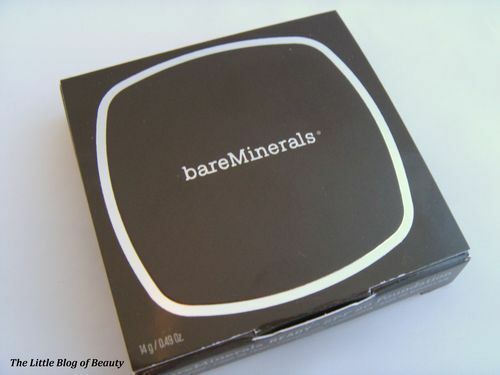 This contains mineral-encapsulated glycerin and humic acid to lock in existing moisture and break down over time to continuously condition and soften the skin. 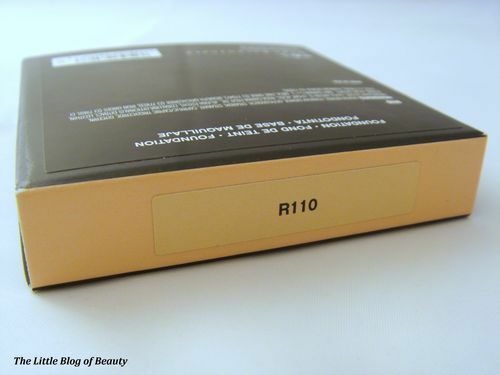 This also contains a SeaNutritive™ Complex with mineral-rich algae and seaweed as well as Rose hip seed oil which contains vitamin A to accelerate cell turnover and vitamin C and E for a healthy looking complexion. This is supposed to diminish the appearance of lines and wrinkles and has skin-nourishing benefits which protect the skin from harsh environmental stressors for a smoother, softer, younger complexion. 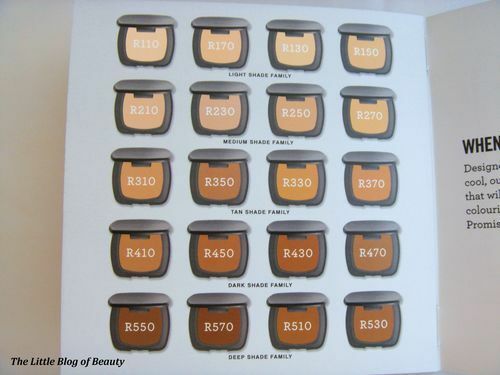 As it says above this is available in 20 shades. 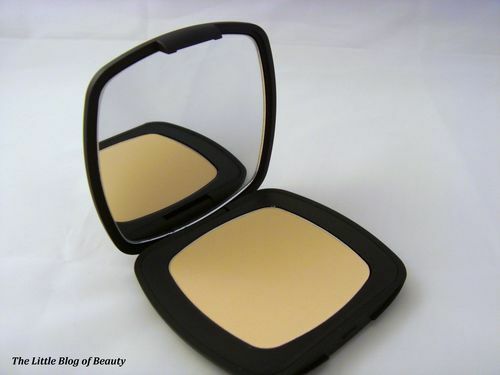 These have been designed to cover all skin tones from light to deep (across five shade family groups) and warm to cool. 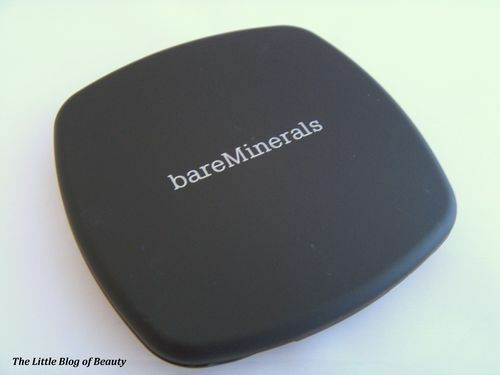 This can be applied with an applicator sponge or a face brush, however as I have said I was also sent the brand new Precision Face Brush to use with this. You can really feel the quality in this brush. It has a nice thick handle that is easy to grip and gives good control of the brush (I don’t like thin-handled brushes that end up rolling around in your fingers). 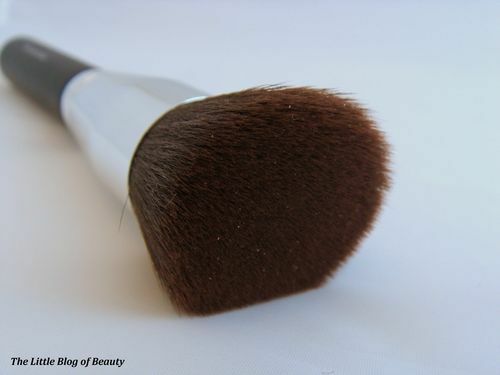 The bristles are lovely and soft and tightly packed making a good surface that should provide great coverage. I had a quick test and these pick up powder easily and distribute it evenly. 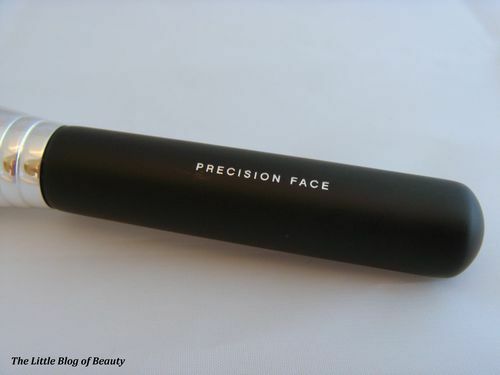 The bristles are also slanted and designed to fit the contours of the face and provide medium to full coverage. 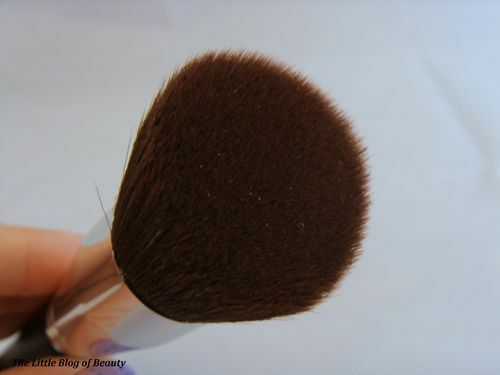 To apply with the brush you tap the brush onto the foundation until the bristles are lightly coated and then gently buff this onto the skin with long, graceful strokes for buildable coverage. 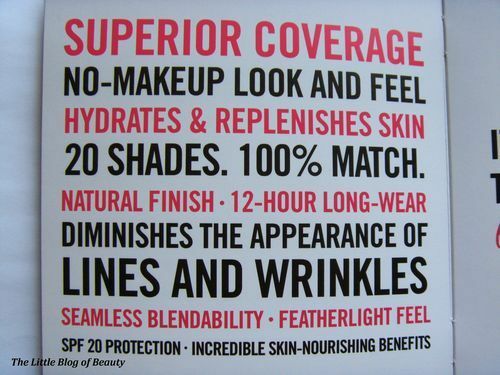 The more you buff the more coverage you get. 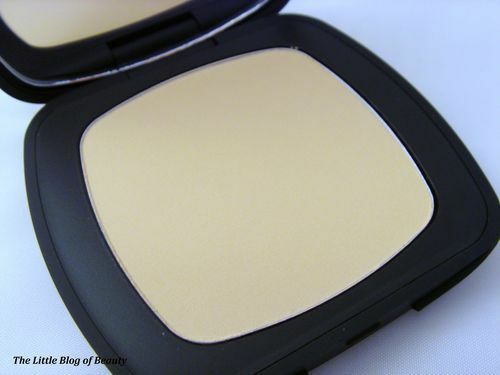 If you are a regular reader of my blog you will know I am a big fan of compact powder foundations so I was really looking forward to getting to try this. As I have said I haven’t had much chance to test this yet as it arrived while I was away from home but after having a quick play I really like the look of this. After I have been able to give this a bit of a test drive I will post a follow up post to let you know how I got on with this. 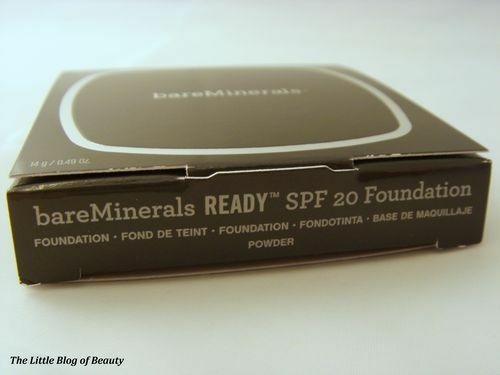 bareMinerals Ready SPF 20 foundation and the Precision Face Brush are both being realeased tomorrow and will be available from bareMinerals and selected retailers including Selfridges, Debenhams and Boots. 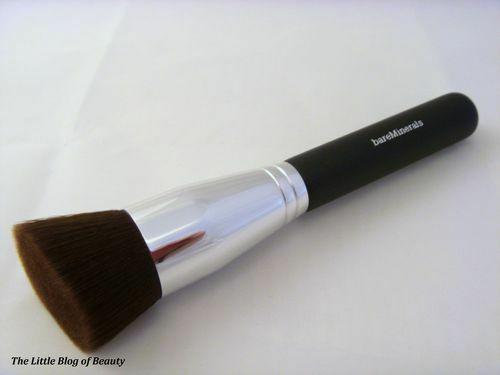 The foundation is priced £25 and the brush £24.